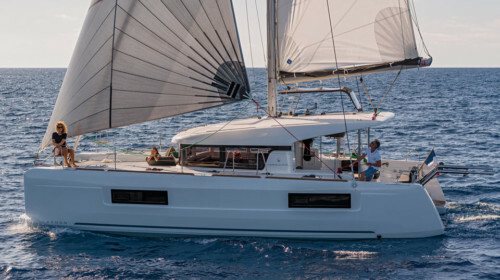 This Ocean Voyager 74 is available for private yacht charters in Phuket. 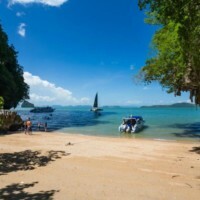 Sailing Catamaran Charter Phuket with Boat in the Bay. 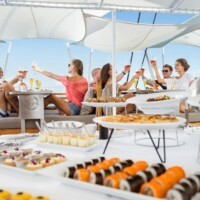 You will like this catamaran for the opportunity to have a fantastic party in the middle of the sea. 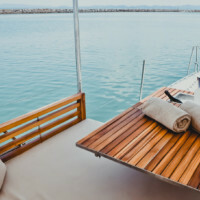 Cruise the serene waters of Phuket in style! 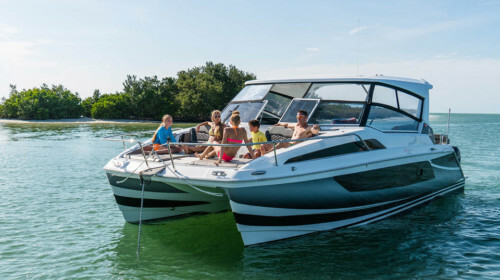 Ocean Voyager 74 features a floating beach club, with comfortable sun loungers and a spacious trampoline. Up to 80 guests can be invited aboard! And it’s for you to decide – whether to make some noise and have the wettest and the hottest party in Phuket, or just sit, relax, and be pampered. 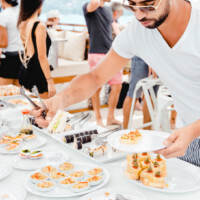 All guests are offered a selection of delicious finger foods, from traditional Thai dishes to sushi and tapas, and a bar with an extensive menu of fine champagnes, spirits and cocktails. 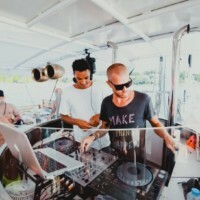 The DJ onboard will fill your cruise with a lounge music or club mix vibes! Songs can be requested. 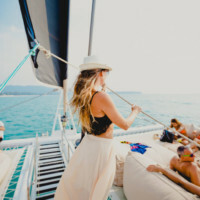 Far from hustle and bustle of the island, the catamaran offers breath-taking trips to the amazing destinations of Racha Island, Coral Island, Khai Nok Island, Phang Nga Bay with its famous James Bond Island, or Hong Island in Krabi. Find out more about the Ocean Voyager fleet on their website. 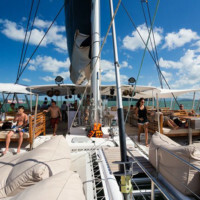 Contact Boat in the Bay for charter inquiries aboard this Ocean Voyager and other catamaran charter options in Phuket. Alcohol packages from the bar start from 600 THB/person.